I’m pleased to learn of the publication of an important study of the earliest extant evidence for the textual transmission of the Gospel of John: Lonnie D. Bell, The Early Textual Transmission of John: Stability and Fluidity in its Second and Third Century Greek Manuscripts (Leiden: Brill 2018). The publisher’s online catalog entry is here. We have more early manuscript evidence for the Gospel of John than any other NT writing, including remnants of manuscripts dated to the third century, and in some cases the second century. I’ve referred to Bell’s study in earlier postings, e.g., here. Using an innovative approach that allowed him to measure the extent and nature of textual variation among the earliest witnesses to GJohn, Bell demonstrates that they exhibit an impressive stability in the transmission of this text. The failure of white evangelicals to speak out against Trump’s perversity proves beyond a shadow of a doubt that these people don’t hold faith honestly. He might have called himself a Christian but he and his kind are not. 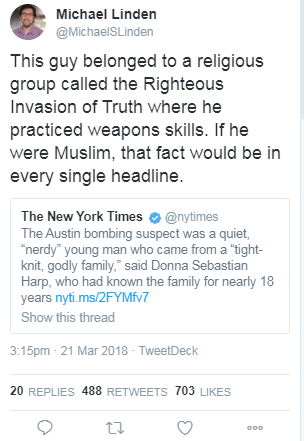 Nonetheless, since he’s a person who calls himself a Christian, he should be called a Christian Terrorist just as if he were a Muslim he would be called a Muslim Terrorist. What’s good for one is good for the other. STECA is an international network for doctoral students and early career researchers, run by a Steering Committee, and currently based at the University of Birmingham. Our aim is to create a virtual common room to support early career researchers wherever they are based. STECA is dedicated to support and nurture a new generation of researchers in a challenging Higher Education and external environment, both in the UK and internationally. Es ist nicht nur kalendarischer Frühlingsanfang; das Datum erinnert uns daran, dass 2017 auch Hoffnung auf einen ökumenischen Frühling besteht: Bruder Klaus und Ulrich Zwingli begegnen sich zum ersten Mal – an Niklaus‘ Geburtstag, denn dieser feiert gleich das ganze Jahr seinen 600. Ridiculous. This is simply political correctness gone mad. March 21, 1556, Thomas Cranmer is burnt at the stake in Oxford. Rather than recant at his public execution, Cranmer reaffirmed his belief that the Pope was the antichrist, and refused to return to the Catholic Church. Happy ‘I’d Rather Be Burnt Alive Than Be A Roman Catholic’ Day! America is next up for De-Christianization. 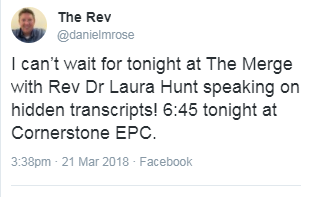 If you doubt it, just show up at any Church on a Sunday evening or Wednesday evening (if the churches in your area even bother with such services) and take note of the lack of participation. For many Christians, their Christianity simply doesn’t matter. Not only do most have no time for worship or study, they also have even less time for evangelism and ministry. It is, therefore, frankly, no surprise at all that America, like Europe, has fewer and fewer Christians. And the downward trend shows no sign of turning around. 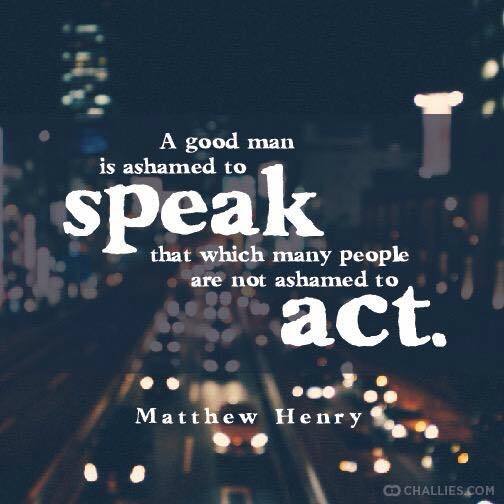 And, again, if you don’t believe it, just show up at any church anywhere that has an Evening service. Divine Permission: Or, Why Do We Do Things God Doesn’t Wish Us To Do? “Permission is an act of governing Providence, by which God does not employ hinderances which no finite agent can overcome, or knows how to overcome, to restrain rational creatures, inclining themselves of their own accord to sin, from an evil forbidden by the law, but, for just reasons, permits them to rush into sins, Ps. 81:12; Acts 14:16; Rom. 1:24, 28.” – Quenstedt.